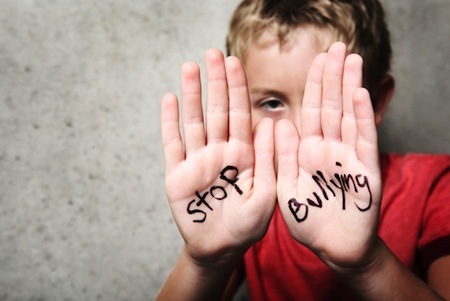 Help stop bullying (for students)! What is bullying? It is any hurtful behavior that can harm another person. Bullying can take my different forms. Some common examples of bullying are name-calling, teasing, telling, pushing, spreading rumors, and cyberbullying. It can cause negative physical, school, and mental health issues. So here’s how you can help prevent bullying in school! Do not be mean to other students. Before you say or do something that could hurt someone, stop and think if you should do it. If you feel like being mean to someone, try to play a game, watch TV, or talk to someone to take your mind off it. If you don’t know how to be nice to others, talk to an adult and ask them to help you. Remember that everyone is different. Also, if you think you bullied someone before, apologize. If you are being bullied, here’s what you can do. Look at the bully and tell him/her to stop in a calm, clear voice. Or you can laugh it off because it can catch the bully off guard. Do not fight back. It is best if you walk away and stay safe. If you think you are being bullied, talk to an adult that you trust. They can try to help you stop the bullying. If you see someone being bullied, talk to an adult. It can be a parent, teacher, or another adult you can trust. You need to let them know when bad things are happening so they can help. Remember to be kind to the student being bullied. Show that you care by sitting with them at lunch or on the bust. Try to talk to them during school or hang out with them after school.